GRIMSBY, Ont. (April 15, 2019)– The Niagara Peninsula Conservation Authority (NPCA), in partnership with Niagara Peninsula Hawkwatch, will once again welcome hundreds of families to Beamer Memorial Conservation Area on Good Friday, as an expected aerial show of birds of prey will soar over the skies of the Niagara Peninsula. The Annual Open House, which showcases the important work of the Niagara Peninsula Hawkwatch group, will take place on Apr. 19, from 10 a.m. to 3 p.m. Since March of 1975, local birders have volunteered their time to monitor the spring migration of hawks, eagles, falcons, and vultures in the Niagara Peninsula. This year, they celebrate their 29th Annual Good Friday Open House—an invitation for residents and tourists to observe and learn about the migration of various birds of prey. Guests will have the opportunity to learn about the work of various nature clubs and environmental groups like the Bruce Trail Conservancy, Ontario Eastern Bluebird Society, and the Peninsula Field Naturalists who will be on site. They will observe and learn about migrating hawks, eagles, falcons, vultures, and ospreys that pass over Grimsby every spring, through live demonstrations and educational presentations. With children’s programming courtesy of Niagara Nature Tours, and complimentary face painting, this annual event is sure to please the whole family. The first 200 guests who measure their “wingspan” against an illustration of real raptor wingspans will receive a free 5x7 photo print souvenir to take home. Visitors are also encouraged to enjoy the trails throughout the Conservation Area and the fantastic views from the observation decks on the edge of the Niagara escarpment, which are wheelchair accessible. A voluntary admission fee of $2 per adult and $5 per family is welcome to support the continuation of the annual Open House. All admission tickets will be entered in a draw for a chance to win ‘Hawks in Flight, Second Edition’, By Sibley, Dunne and Sutton, and a four-pack of NPCA Day Admission Passes. RJ’s Rolling Smokehouse Grill will be on site with food and beverage available for purchase. For the complete event itinerary, visit www.npca/events. 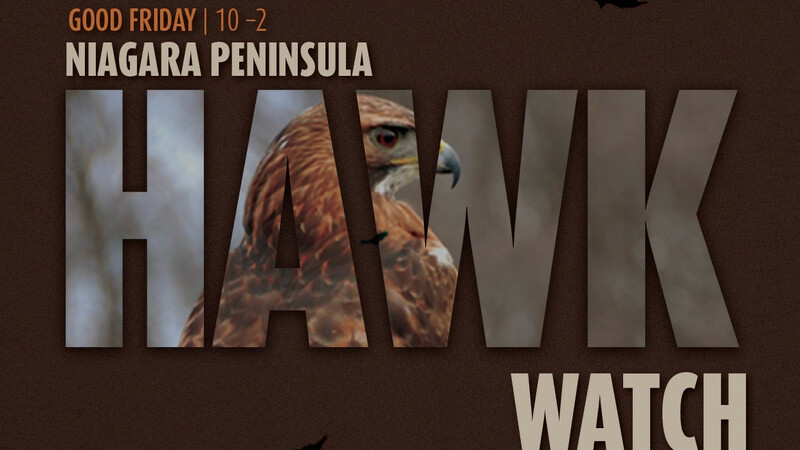 For more information on the Niagara Peninsula Hawkwatch, visit http://www.niagarapeninsulahawkwatch.org. The NPCA manages the impact of human activities, urban growth, and rural activities on the Niagara Peninsula watershed with programs and services that help keep people and their property safe from flooding and erosion, while retaining the safety of our drinking water. culture and adventure to create limitless opportunities for discovery.